The best quality clarified butter comes directly from your kitchen. Often ghee sold commercially is not prepared properly and can cause more harm than good (not to mention that it's outrageously expensive!). Ghee has anti-aging, anti-inflammatory properties and is considered a holy substance in Ayurveda. Even though it's made from butter, it has quite different properties than butter. Through the process of cooking, its properties change and ghee becomes lighter. 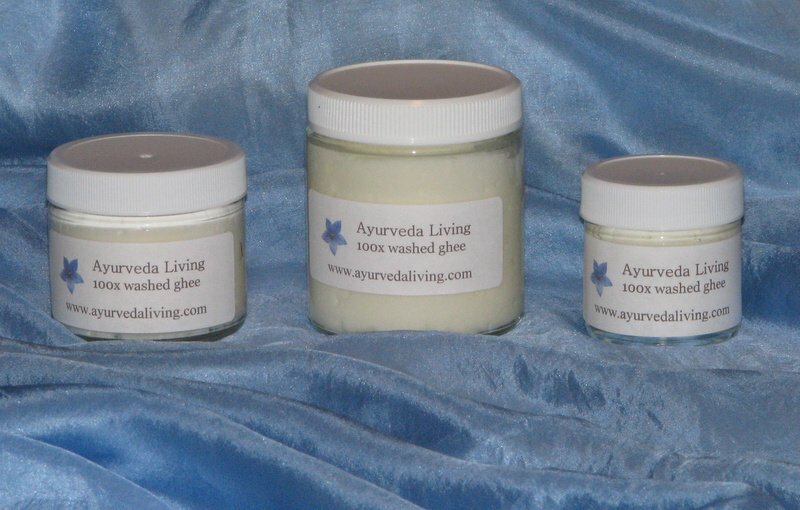 Ghee enhances digestion and improves absorption and assimilation of nutrients. It increases immunity, strengthens the nervous system and improves memory. It lubricates the whole body and keeps the tissues young. The older the ghee gets, the better. It's said that 100 year old ghee can cure any disease. 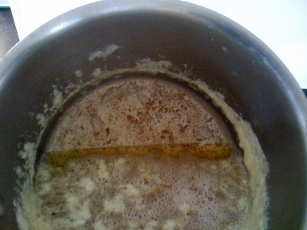 1) Place the butter in the saucepan and heat over medium heat. When the butter is melted, reduce the heat to low. 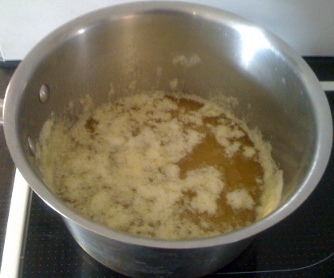 The butter should be bubbling and making sounds (if the butter is not bubbling/boiling, increase the heat). 2) Throughout the process of cooking the butter, I don't use any spoon to mix the butter. If I need to stir it, I only take the pan in my hand and move the butter around in circles. As you can see, the butter is becoming clearer and makes more foam. 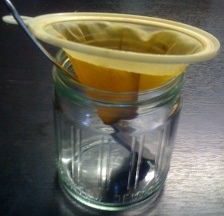 4) Pour the golden clear ghee through a thin strainer (this one is REALLY old from my grandma, but works great!) 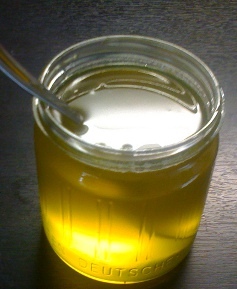 into a glass jar with a metal spoon (the metal spoon prevents the glass from bursting from the heat). Store at room temperature. If properly cooked, the ghee is supposed to last forever. According to Ayurvedic tradition, the older the ghee, the more medicinal properties it has. However, I usually use my batch within 6 months or so. If your ghee starts to mold, it wasn't cooked enough or you had moisture/dirt in your jar. My first two batches were burned. From the third one, the ghee is great and using it in most of my healthy recipes makes not only my body, but also my heart, truly joyful. I hope the process (and of course the clarified butter) will make you as happy as it makes me.